I don't know the name of that beautiful flower, but someone will be able to identify it for you. Great looking flower. You might want to post the picture down in mystery plants. You'll get a bunch of help down there identifying different plants. And soemthing else that would probbaly help with ID is if you could get a second pic witht he leaves and the lower plant Just a suggestion. I agree with Weezie. 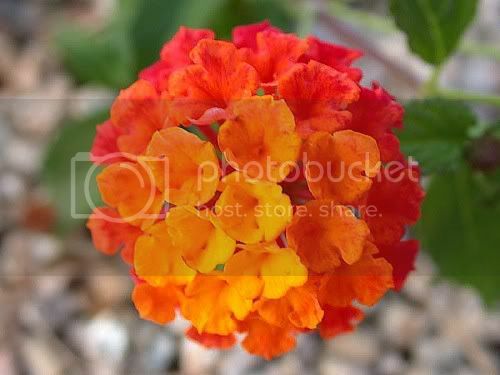 It is a lantana. The other picture she had posted was 2 colors...so pretty!